Are We Running Out of Peat Moss? Have you all read the All New Square Foot Gardening 2nd Edition book on p.96 (section “Only a Little”) that gives a full explanation on why SFGers don’t have to be concerned with peat moss being a nonrenewable source? It’s a common sense approach to the use of our natural resources and how not to panic or sound the alarm. For instance, we used to get a lot of letters from the UK saying that peat moss is unsustainable. After we tracked down all of those stories saying Britain had used up and burned all of their peat, we discovered that it was “peat” (an older cousin of peat moss) and not peat moss that had all been burned on the British island. “Peat” takes many years to replace. Soon after when I traveled to Canada, the Canadians said, “Heavens no, we’ve not run out. We have more peat moss than the world could use in 100 years! Besides that, we’re making more naturally than we’ll ever be able to harvest and sell!” In their minds, there is no shortage. It’s a business in Canada and in plentiful supply. To add to that: The SFG method only uses peat moss once. Mel’s Mix is 1/3 peat moss that will last up to 10 years. Since we’re only adding 6″ deep of Mel’s Mix in every 4×4 box, that’s not very much peat moss. Remember, SFG takes only 20% of the space of a conventional row garden, so we’re automatically using 1/5th of the amount you’d use in a row garden. The peat moss in our SFG beds lasts for well over 10 years. Our feeling is that there’s not only not a shortage, but we’re using so LITTLE that we’re being kind to the Earth’s supply of this naturally occurring material that’s available from different sources all over the world. The SFG method does not deplete peat moss and it’s not in danger of running out. Peat moss is something that could and should be used because of its good qualities. I hope that would take away your feeling of endangering the Earth’s supply when you use it in Mel’s Mix. Let me explain our position another way and in more detail. First of all the average single row garden takes 700 Square Feet and the routine every spring is to add a whole bunch of things to the soil like peat moss (and compost and fertilizer and anything else you can get that will improve the soil). This is all AFTER you check the ph (a pain to do) and add more things to correct the ph because it’s your natural soil and never in balance. With SFG we don’t have to do all that stuff or know all those things. Our soil is perfect to start with. Let’s look at the numbers (that are rounded for easy math). Single row gardens: 700 SqFt x 1inch deep of peat moss = approx 70 cubic feet of peat moss used every year. SFGs only take 20% of the space of a single row garden. So instead of 700 SqFt of garden space, we only need 140 SqFt. The very first year, we add 1/3rd peat moss x 6inches deep = 20 cubic feet of peat moss. Did you follow all that math? Another big difference is we use the Mel’s Mix only the first year, and it will last for ten years! How can we do that? Well, if you read the All New SFG book, every time you replant each Square Foot, you add a handful of homemade compost (a renewable and free source). At the end of ten years, you start all over again. So in summary, a traditional single-row garden has used 70 cubic feet x 10 years = 700 cubic feet while the SFG has used only 20 cubic feet in those same 10 years to grow the same amount of harvest. That’s a 35:1 difference. Another Perspective: If you had a car (an old gas guzzler) that only got 10mph, I’d say to take that thing off the road because gasoline is a nonrenewable material. Although we’re not in danger of using gas all up yet, the experts say we have well over 100 years supply-even at our present rate. So if I come along and invent a new car that gets 350mph, would you tell me that that’s not a good thing and I should stop using that car because gas is nonrenewable? I say, if you can get 350 miles out of every gallon, we’d probably have 1,000 years supply left. Does any of that make sense? 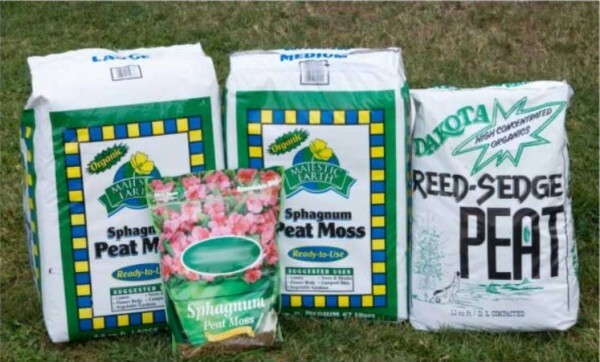 The testing of other substitutes and alternatives to peat moss should continue. The most common alternative we’ve found, coconut coir, hasn’t proven as inexpensive as peat moss nor does it have the same water holding capacities, nor is it as available or as easy to use. In addition, we found some of the coir, perhaps because of its location, was too salty and would kill your plants. SFG is always looking for substitutions, but nothing yet has been found that can compare to peat moss. When something comes along that is cheaper and equal in capabilities, the market will take over immediately and that will become the thing to use. Our position is for those that say “Oh, we’re running out. The sky is falling. We have to stop immediately.” we direct to our car gasoline illustration. If we can improve the efficiency so much that it’s not going to run out, then let’s not panic but keep looking for better, renewable, and readily available resources. Renewable anything is good because it was probably made from a waste product. That means we can clean up the environment quicker and easier. I continually search all of the garden suppliers and manufacturers for new ideas. At every trade show I talk with the coir people. SFG has tested choir and is starting to substitute choir for a portion of the peat moss in our experimental mixes. It takes a while to test all of these things. (Plants don’t grow overnight you know). In addition, we do offer coir to anyone who wants it on our website store: http://www.squarefootgardening.com/garden-accessories/mels-mix-soil/coconut-peat-coir/. We appreciate our readers’ concerns and questions regarding these matters and bring a common-sense attitude and solution to the problems in our world. Happy Gardening! Emmon, Where are you planning on putting your SFGs? Cement, a rooftop, over grass, a tabletop? Would love to hear! Mel , the differences are that it is usually the sage plant that is the UK peat beds content. Though there are some spagmum beds as well especially in Ireland . Typically the greenie screemie classes never bothered to research this before they started squalking & running around like idiots with their trousers on fire. Thanks for the feedback. Are you a Certified SFG Instructor in the UK? I have been doing “semi” square foot gardening (without the grid) for a few years and my daughter (Omaha, NE) has done real square foot gardening for several years as she has a family with 5 children. This year, I am making my own soil but I can’t find the vermiculite other than in 8qt bags and that works out to about .26 cubic feet. Where can I get vermiculite in bigger lots? (Las Vegas, NV). I am building three gardens that are 42x84x8 each but I am building them two high and putting the frame on top of cylinder blocks that are filled with rock and/or pea gravel. So my RAISED gardens are getting raises! Vermiculite! That’s all I need! Any hints will be greatly appreciated! Yes, Vermiculite in large 4 cubic foot bags with course grade vermiculite is often difficult to find. that’s why I’ve taken great detail and written extensively about how to find it and hope people will follow those directions. although you said it’s hard to find, you didn’t really tell me what you’ve done so far, so I guess I would have to start at the beginning and ask you “Have you read the All New SFG book on the sections about Vermiculite and locating it?” Next, have you checked our website for all of the FAQs about Vermiculite? Lastly, have you gone to our forum where there should be even more information from other people’s experiences as to how they finally found it. It’s well worth looking for because it’s a very important part of Mel’s Mix. We don’t suggest any substitutions or changes in the particle size. There are mail ordered places also on the internet if you google Vermiculite, you can find how to buy it that way. Your letter is right on target though because manufacturers and distributors have not made it easy and it’s a continual challenge of ours to get it more evenly distributed to all kinds of stores. If all else fails, I always suggest you think about who uses it and then call those kinds of people, like a plant nursery–they’ll often sell you bags from their supply. Finally, I would ask you to please let us know where you find it, how much it was, and we can include that on our website, telling all others your hard-found information. Eventually we hope to have a almost catalogue of where you can locate the proper size and grade all over the country. Your help would be greatly appreciated. Thanks, Mel, for all your work, too! I HAVE found vermiculite….finally. Can’t remember how I found it…whether it was from information from a blog or I stumbled onto it through several searches on the Internet. All I know is buying it from home-improvement stores in 8qt size wasn’t going to “cut it”. My Lowe’s carries your soil. I am building four gardens and raising them up on 8x8x16″ cylinder bricks, laying down the garden fabric, putting 2-4 inches of gravel and then filling each of them up to top of garden. I figure 10 bags for each garden. So, I am raising the raised gardens (planning for the future since I am a “senior” now….AND the dogs won’t get into the soil and dig!). So, I figured the cost to make the soil vs. buying the bags is nearly the same. An addendum to my above comment. Obviously I figured incorrectly on my soil :). My total garden space WITH shed and 3′ sidewalks is approx 18′ x 25′. I bought 6 gardens that are 42″x72″x8″ and put them up on cinder blocks 8″h x 6″w x 16″l. The cinder blocks were formed to “fit” each other. I put only about 2″ of gravel rock in the bottom. Las Vegas’ soil is absolute clay. I wanted drainage and 12″ of growing depth so I can rotate “crops” around each season and not worry where they end up after considering companion planting and other issues. The number of bags of soil ended up being 18. Obviously, making my own Mel’s Mix will be cheaper. However, I thought the bags were 2cu ft but were only 1.3. My 2nd (of 4) garden, will be true Mel’s recipe! I now have a pictorial history of my endeavor and my gardens will be complete with trellises on the west and north sides and shade/wind fabric on paper towel-like self-invented dispensers. Reusable shade fabric readily available at all times. I am framing my gardens with 3/4″ PVC and painting them for longevity in this heat (and for looks)!! Thanks for your thoughts! I would think we could perhaps change just one word in your thoughts and that would be saying that all able-bodied people instead of being “forced” to do volunteer work, could “volunteer” to do volunteer work. There have been some great political leaders over the past few years that have had this idea and I think it makes sense. If there are people who are recieving money from the government, then they should be able to volunteer and give back in at least a small way, just an hour or two or three a week or just one day a week. There are so many jobs that can be done by volunteers. In fact, my next blog was going to be about creating 1,000 jobs a day by getting people to volunteer at a nonprofit or a church or a YMCA or the governement. Oh wait the government isn’t nonprofit are they :). There are so many places that could use volunteer help and it does any person good to be able to do something with their time. I’d like to see your plan about the prison. We’ve taken SFG to many prisons with troubled youth and men and women. We’ve had some very good success with them. Yes, why can’t they have their own gardens? They have the time and space. If they could just forget about the single rows that I’m sure the government would want to put in and go to something like the efficient SFG method it won’t even need much space. And think we’d be teaching each prisoner how to eat healthy, grow their own food, cut their food bill in half, and give them a lifetime education for when they got out. We’d even be teaching them a skill that they could turn into a business! One of my favorite letters was from a prisoner back in the 1980’s–a young man in Texas who said he almost committed suicide but he learned about SFG and tried it and got so enthused about it that he forgot all about ending his life. When he got out he started a small business installing SFGs for people in his neighborhood. Think what a testimony that is to a new method of gardening! I like all of your ideas, Jeryl, and I hope you get behind this new one to create community gardens at every community Ag Agency and Office and give their employees and the unemployeed something to do with their time while they’re sitting around or waiting to find a job. Thanks again for your support. as for the original post “What’s Up With Peat Moss?”, have you tried biochar in your research and experiments? From the information I read and heard about biochar it seems like very promising material. Here is a link to an international organisation http://www.biochar-international.org/ and their Biochar Trial Guide http://www.biochar-international.org/sites/default/files/IBI%20Biochar%20Trial%20Guide%20final.pdf . Katrina: BioChar. We have recommended using wood ashes sparingly in your compost with the added nutrients they’d provide depending on what materials they came from. The materials you sent me seem more like an additive to existing soils which are terribly poor all over the world, need almost anything and everything all over the world. We aren’t really concerned about improving our Mel’s Mix. It already has as one of its three ingredients, compost and all of the nutrients and material needed for good and rapid growth in a home garden. It would be sort of like saying, Katrina, “I am using Mel’s Mix and my plants are growing well. Will they grow better if I add some commercial fertilizer or some organic fertilizer?” The answer would probably be “Yes, the more nutrients you put in, the faster and bigger they will grow.” The same with people. If you add steroids to anhyone’s diet either by injection or in their food somehow, they will grow bigger faster. But of course we don’t want that in humans or in plants either because it’s not naturally. To answer your questions, I have not experimented with it because I’ve found there’s no need for it or advantage to it. If it were available at a reasonable cost, I could see adding a small amount. Some of the articles you sent me were talking about “under 5%” and I’m sure that would help to grow a little better. It wouldn’t replace any ingredients but only enhance them slightly. So it’s a matter of cost vs. advantages. But if you are using it, let me know how it compares and what you are using now for your soil mix. I made a Square foot garden. Well it,s actually 10 x 4 foot. I am not having much success with it though. I put peat moss, vermiculite and compost as recommended. I planted a few different veggies but nothing is growing. In Dec i planted the seeds. within 4 days they germinated, I was so pleased. but now nothing is growing, we have had very hot weather here and i have been watering in the morning and at around three thirty in the afternoon. I also put shade netting over so I am not understanding the reason why the plants aren’t growing. could you please help. Sorry to hear that. Let’s try and find an answer. Usually, we first look at what kind of compost you bought: is it a blend? Is it from 5 different ingredients, just so it’s a balance? Is your garden in an area where you grew plants before? Did you go through the usual procedure of laying down weed fabric, building the box and filling it with Mel’s Mix and then adding a grid? The peat moss and vermiculite won’t indicate poor growth. They are in the mix mostly for airation and water retention and to make the soil mix loose and friable. All the nutrients are in the compost, so tell me more details and specifics of what you used for your compost. I’m glad that you are watering continually in the hot weather and also the shade was a good idea while the plants are young and getting started. Are there any other gardens nearby or in the neighborhood to indicate if its possible to grow things well in the area? Unless theres something strange happening, the problem has to be in the compost mix and ingredients. Did you buy this at a nursery and what do they have to say? Heres an experiment I would like you to do: in a separate area, or even a flowerpot, fill it with just the compost you bought and start a few easy sprouting seeds like radishes and lettuce. Let’s see how they do. Even though they are cool weather crops, they should still sprout and grow quickly. We’ll see if that experiment offers any clues. Hope that helps. Please stay in touch.